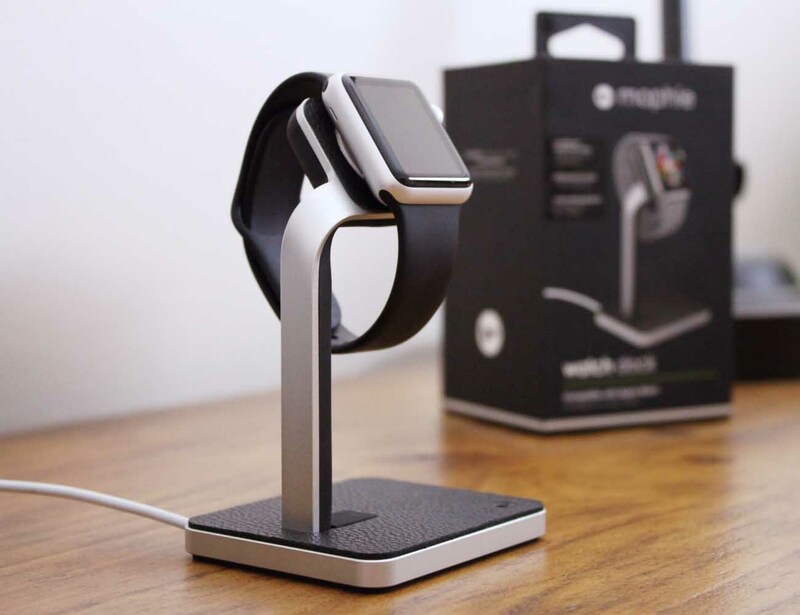 The Mophie Apple Watch Charging Dock makes an amazing docking station for your Apple Watch with a durable aluminum construction having premium leather accents. 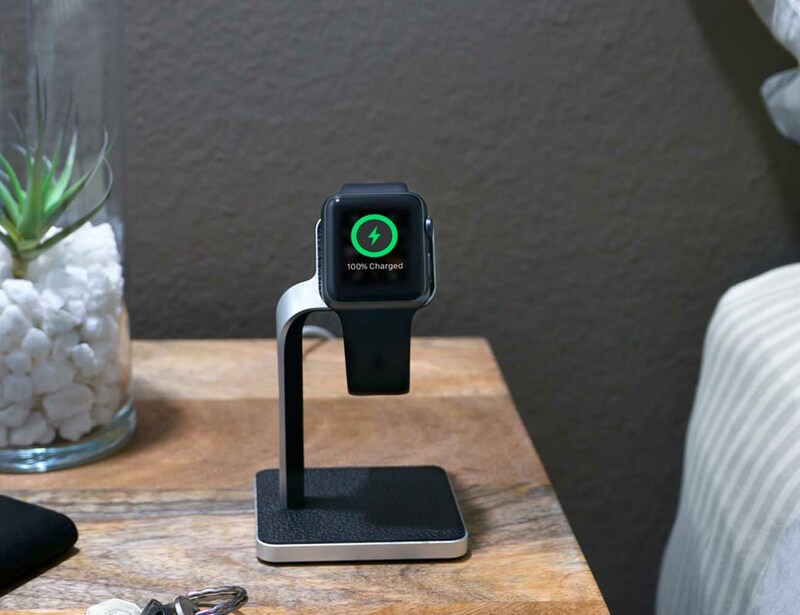 This charging dock is compatible with all Apple Watch models and brands. 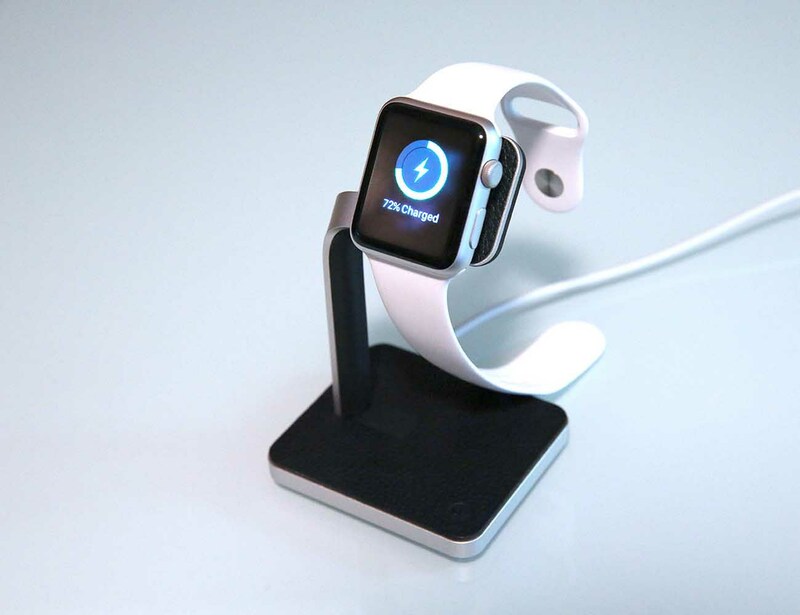 It’s a good looking charging dock you can use to rest your Apple Watch at night. Charging will begin as soon as you connect this charging dock with the Apple Watch. 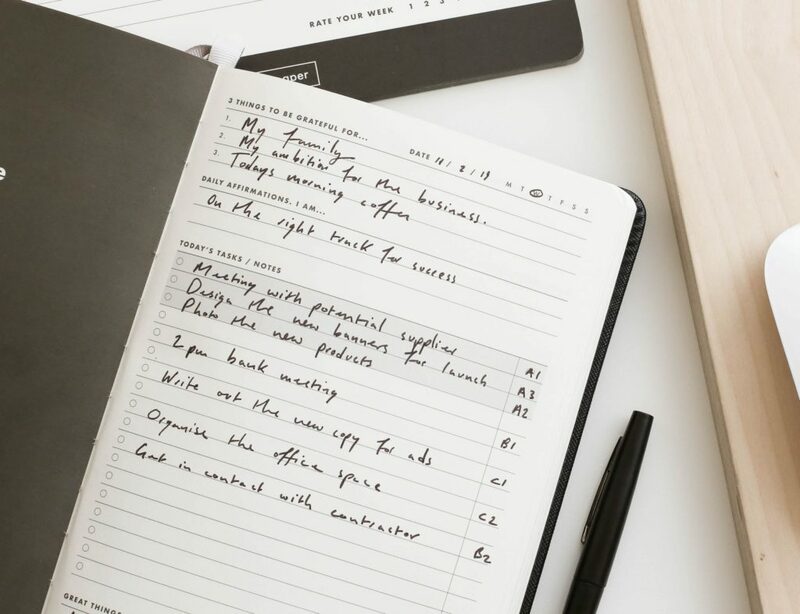 The charging cable that comes with this dock is concealed inside it so that your tabletop is free of clutter. 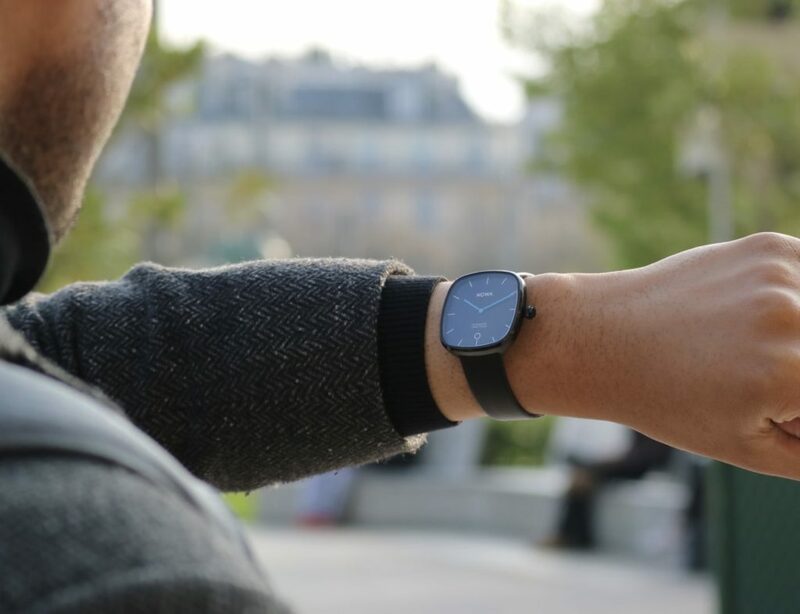 The leather accents will also offer superior protection to your Apple Watch when it is charging. Even when your Apple Watch is docked on this, the slightly angled charging position will make it easy for you to access your Watch’s touchscreen. 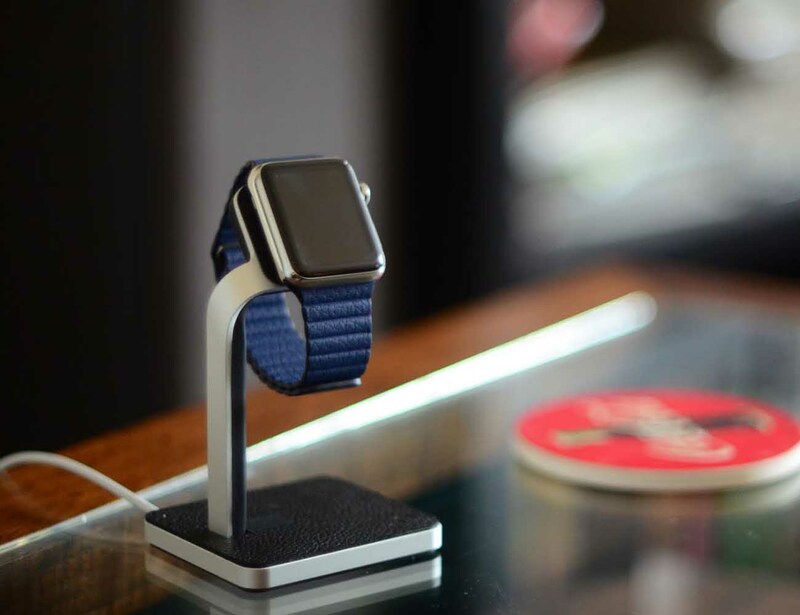 Solid, stable and secure charging dock your Apple Watch can make use of.